My Dell Inspiron N 5110 is shutting down suddenly when connecting adapter. It is running fine when battery is fully charged. But when battery is about to be empty, if I try to plug in the adapter, it is shutting down suddently, losing all unsaved data. This behavior is random but frequent, some times it works fine and some times not. It is not under warranty. This started happening from last 2-3 months. Before that it was working fine. It is around 3 years old, its mother board was once replaced by Dell, around 2 years back, when it was under warranty. But this kind of sudden shut down is happening from only last 2-3 months. Its fan was recently cleaned. It is also heating up a lot. I have also checked with some other adapter, but same issue is occuring. Till one week back, message "The AC adapter wattage and type cannot be determined...." used to come during boot-up. If I press F1 and continue, AC Adapter Warning message "The AC power adapter type cannot be determined" used to appear in a window. Once I click OK, it used to suddenly shut down. But this is not happening from last one week, I thought it got well, but again today it suddenly shut down without displaying any warning message. This is very adhoc and painful. After suddent shut down, it wouldn't start. Then I remove battery, press-hold power start button for 10 seconds and release. Then I replace battery, connect adapter, it will start. But again it may or may not display the message. If I hard-press the other end of adapter, at DC-Port, it works fine some times. I have also checked with some other adapter, but same issue is occurring.Till one week back, message "The AC adapter wattage and type cannot be determined "
You should use the correct Dell AC adapter. I also like to suggest you run the diagnostic tool on the system. Are there any bluescreens / system crashes? Please check if there is any damage on the machine. Check if all the ports on the machine are fine or misaligned. Sometimes if the pins in the USB ports are touching each other, they are known to cause many issues on the machine. When you plug in the adapter, does the light on the adapter remain stable and on or does it go off? Is the adapter frayed? When you plug in the adapter, does the adapter stay firm or does it easily fall off? 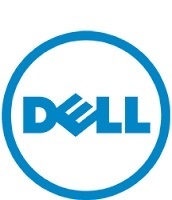 If possible, update the BIOS - http://dell.to/1JZP8qH- restart the system and check. Restart the system and press f2 key to enter BIOS - check the adapter status in BIOS with and without the adapter connected. Also, while the adapter is connected to the system, wiggle the adapter jack - at the DC port end - and check if the adapter status changes at any point in BIOS. Also, check the battery health status. Based on this, we could isolate, if the issue is with the adapter / dc-port / motherboard - in that order.